If you've ever spent any time browsing through the campaigns running on Kickstarter, you'll know there's a wide variety of projects on the site - you can put your hard-earned cash behind everything from new music recordings to futuristic-looking pieces of furniture. But what separates the most popular campaigns from the also-rans? We've put together a brief list of pointers you might want to take on board if you're hoping to strike crowdfunding gold - and all we ask is a small slice of the the profits, when the time comes. If your campaign looks like it was pieced together over a week's worth of lunchtimes then you're not going to inspire confidence in potential backers, no matter how good your idea is: invest some serious time and effort into quality copy and quality photos and videos (the tech journalists of the world will thank you if there's a link to a decent press kit included somewhere on the project page). You want a campaign that screams professional rather than amateur - you're bidding for other people's cash here after all. Make sure your passion and your expertise comes across (unless you don't have any expertise, in which case you might want to find someone who has). A slick-looking website you can link to is also useful and gives your campaign that extra air of credibility. Some of the most popular Kickstarters of recent times - the Veronica Mars movie, Shenmue 3, the Exploding Kittens card game - have benefitted from loyal fan bases that were already in place. Is there a big group of like-minded people you can get support from? You don't necessarily need an idea with massively broad appeal but having a community of interested folks right from the off certainly helps. It's easier said than done of course: Disney probably won't let you crowdfund any Star Wars memorabilia any time soon and pretty much anything imaginable for cat lovers has already been done (at least once). 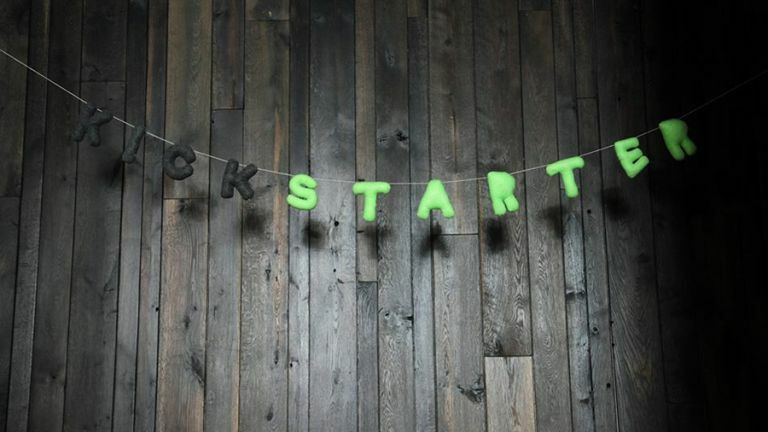 However, if there is a community or two you can tap into to get your crowdfunding efforts off the ground, then it's worth considering when you're coming up with ideas for your Kickstarter. It's not just the quality of your pitch that counts when you're looking for backers: it's the quality of your rewards as well. Make these as compelling as possible and you might find people signing up for the fringe benefits as much as the product itself - why not offer interested parties a lunch date or a part as an extra (that last one really only works if you're making a Kickstarter movie though). You can charge premium prices for any premium rewards you set up but even if you don't think the interest isn't there at the top level there are always t-shirts and keyrings. Rope in as much free labour as you can from family and friends (do you know any helicopter pilots or hotel managers who can throw in some freebies?) and make sure it's worth people's while to contribute to your project. To get your Kickstarter campaign 'out there' you need to make sure it's doing the rounds on Twitter, Facebook and any other social network you can get yourself plastered across. Don't just embed share icons on the campaign page, create graphics and videos that people are going to be interested in and that backers are going to want to broadcast to their network of family, friends and random acquaintances. Thank your backers by name, engage with other accounts in a similar area to your project, get creative with your hashtags... there are plenty of ways to try and drum up some social media buzz. Again, enlisting the help of your nearest and dearest is important here, especially if they have a significant Instagram following. You don't necessarily have to wait for the campaign page to go live to build up interest either. What do the Pebble smartwatch, the Ouya gaming console, the Pono Music player and the Micro 3D printer have in common? That's right, they're all functional and stylish gadgets that are among the most-funded Kickstarter campaigns ever published on the site. Taking on the likes of Samsung and Apple isn't a walk in the park but if you can come up with a winning tech idea there are partners who can help.